I first programmed Andrew Schneider in 2005 for Performance Space 122’s Avant-Garde-Arama, subsequently in the Prelude Festival and, most recently, presented his work in the 2013 River To River Festival as part of a programming track co-curated with Laurie Anderson. I have written about his work extensively including a critical essay in the journal Theatre Forum and an article for the Baryshnikov Arts Center. 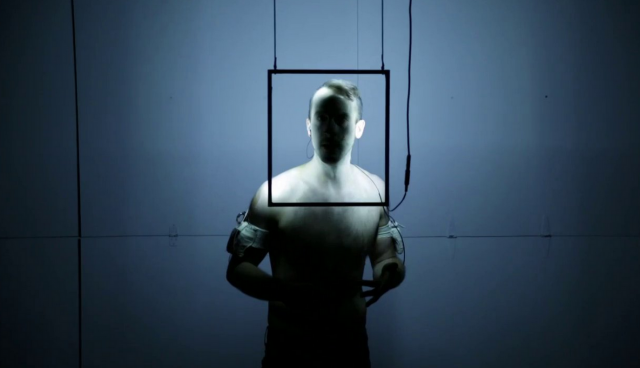 Andrew Schneider is a performer and interactive-electronics artist based in Brooklyn, New York. He was a company member of The Wooster Group (performer/video) from 2007-2014. His solo performance work has been seen at PS122, the Chocolate Factory, River to River festival, and The Prelude Festival, among others. He also creates wearable interactive devices (such as the Solar Bikini – a bikini that charges your smart phone) which have been featured in Wired, TimeOutNY, Make, Art Review, Sony Tech Wonder Labs, and at the Center Pompidou in Paris. Andrew Holds a Masters Degree in Interactive Telecommunications from NYU.